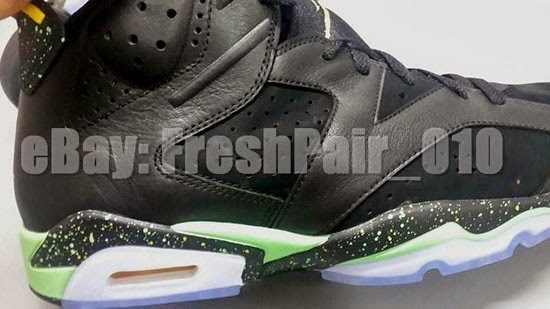 Another new colorway of the Air Jordan 6 Retro. While there's no telling when these will release, if you want them before anyone else, you can pick them up now. Check out the auction here. 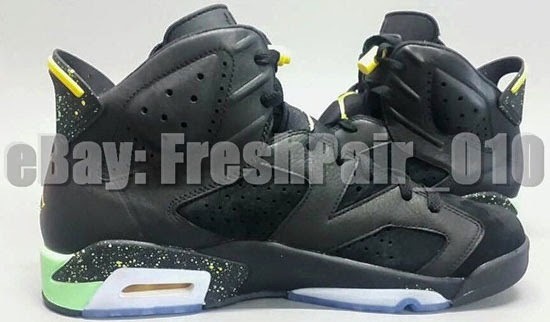 2014 is, the year of the Air Jordan VI. We have seen a few colorways release as well as previewed a couple more slated to drop as well. Now, you can add yet another pair to the list. 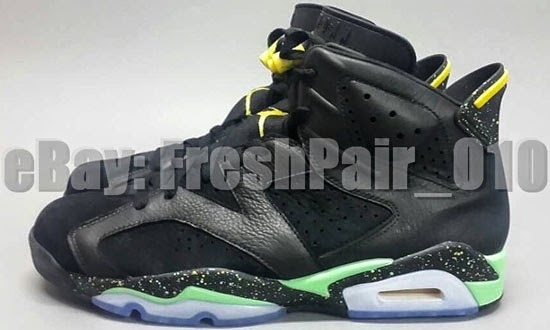 This Air Jordan 6 Retro comes in an all new black, venom green and vibrant yellow colorway. Featuring a black based nubuck and leather upper with yellow and green accents along with a speckled midsole and back heel tab. 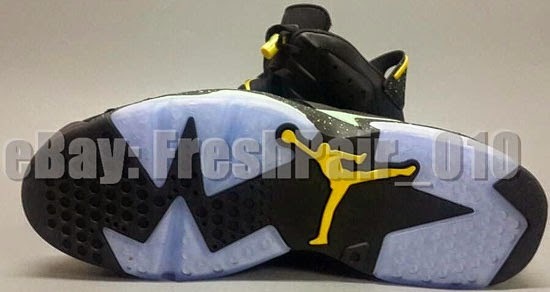 No release date has been announced at this time however, expect to see them drop sometime later this year. Once a date and pricing are announced, I will make an update and let everyone know. 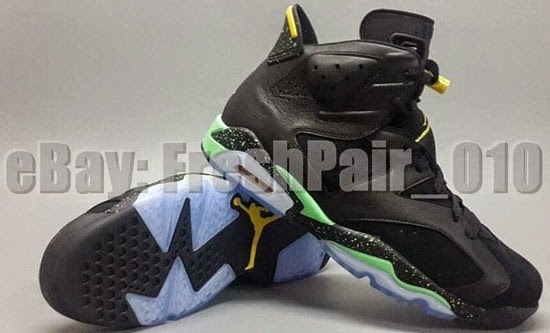 Enjoy the images below of the Air Jordan 6 Retro in black, venom green and vibrant yellow. If you're interested in picking these up when they release, check in with your local spots to see if they will be receiving them. Those of you looking for a pair now can, grab them from eBay here.